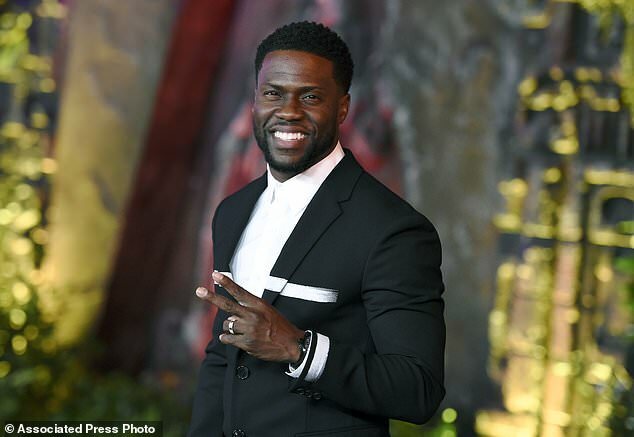 Kevin Hart has stepped down as the host of the 2019 Oscars. His apology, however, has come too little too late after he revealed earlier in an Instagram video that the Academy of Motion Pictures Arts and Sciences had given him an ultimatum: apologize for the comments or they would seek a new host. Hart responded to their ultimatum in an Instagram video in which he said he chose to ‘pass on the apology’ because he had ‘addressed this several times’. ‘I just got a call from the Academy and that call basically said, ”Kevin, apologize for your tweets of old or we’re going to have to move on and find another host.” I’m talking about the tweets from 2009 and 2010,” the 39-year-old said in the Instagram video before stepping down. This came after tweets dated from 2009 to 2011 surfaced showed the comedian spewing blatant anti-gay rhetoric. The comedian has since deleted the tweets, but that wasn’t before screen captures began circulating online. 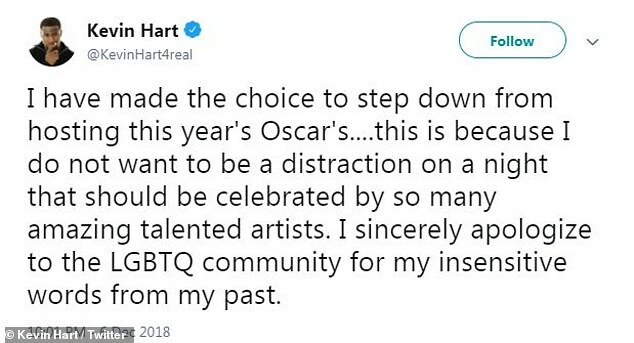 Earlier in the day Hart’s response to criticism over homophobic tweets on further inflamed a backlash to the comedian two days after he was named host of the upcoming Academy Awards. ‘Keep in mind, I’m not homophobic, I have nothing against gay people, do what you want to do, but me, being a heterosexual male, if I can prevent my son from being gay, I will,’ Hart said.